The most beautiful yarn, colorway inspired by the Ulysses Butterfly in Australia, has been crocheted into a scarf for my MIL. 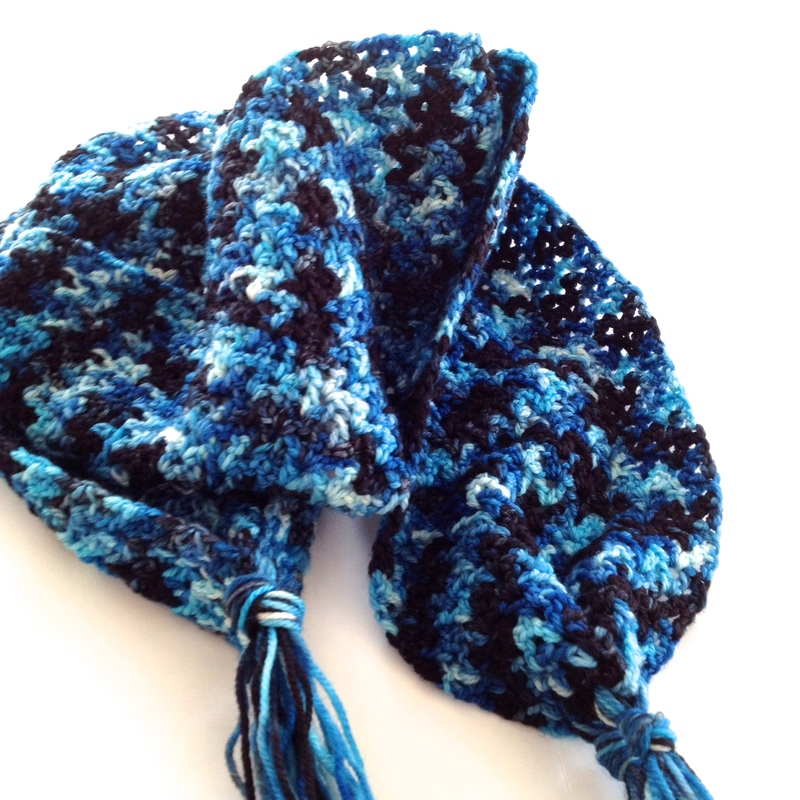 Lovingly dyed under the Australian sun by Solar Flair Fibres it creates the most amazing pattern using the Pavement Infinity Scarf stitches. Starting out it was creating nice diagonal stripes but the zagged for a bit before zigging and zagging in the most erratic butterfly way as it flits from flower to flower. The colors move in the newly named, Flutterzags, way until meeting collectively in puddles of butterflies as they are want in a patch of sun, then flutterzagging off for more flowers. 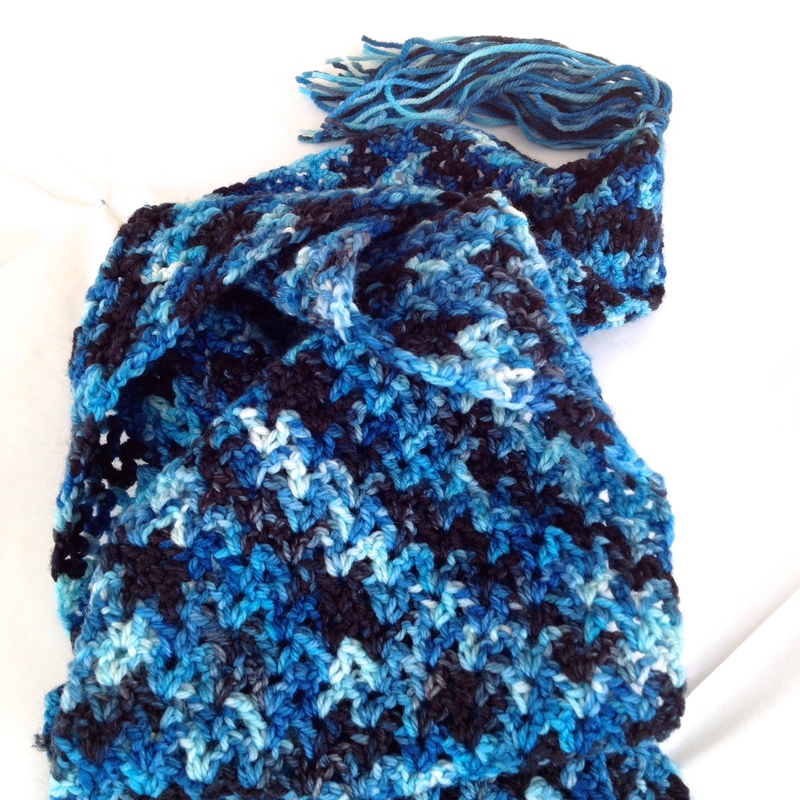 Find me on Ravelry as StudioDeanna and check my Project Page for complete details on my pattern modifications. In a yummy soft SuperWash Merino Wool, the Flutterzags and Puddles scarf is now flitting off to my MILs in cold northern New England. Hopefully it will fly straighter than a butterfly. Now I can cross this item off my list of accomplishments before the end of 2013! At the beginning of each row, the pattern calls for “ch 3″. Instead I chose to do the (CSDC) Chainless Starting Double Crochet found on Moogly’s Blog, for a much nicer edge.